Greetings newcomer! I am Zowja, the creator of this mod. You have come across a unique mod where it is not built for the recent updates, but intentionally built for a version back in Minecraft Beta, specifically Beta 1.7.3. This is not some old mod laying around from 2011, but something that is active and updated today for Beta. But... why Beta? 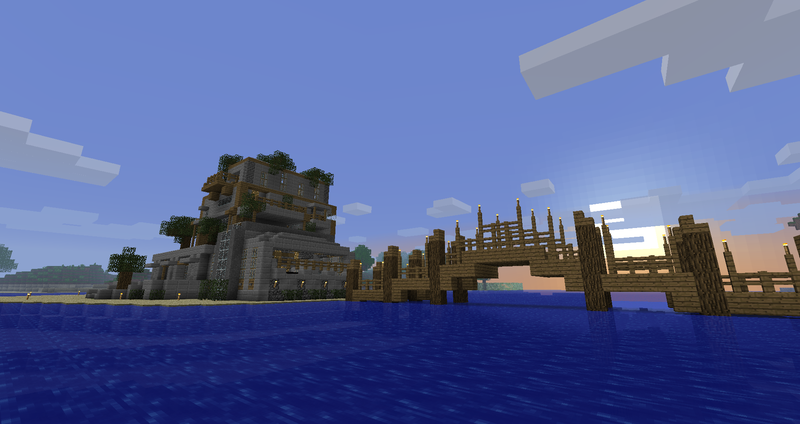 If you played Old Minecraft, you know the game felt quite a bit different than it does now. Pre-Alpha, Alpha, and Beta had their own little quirks about them, but all generally had the same feel and atmosphere. At some point along the line, the feel of the game suddenly had a large shift that carries over into how the game feels now. Generally people, including myself, draw this shift to the update Beta 1.8, the "Adventure Update". Multiple things may have contributed to this shift - the faster pace of the game from sprinting and a higher focus on fighting; and/or the player base becoming a lot bigger, younger, and edgier; and/or the addition of creative mode suddenly unlocking everything in the game to everyone so then survival lost some of its feels; and/or the looks of the game becoming duller and more orange with the new torch lighting and textures with lower contrast; and/or something else I may have not mentioned - which is why this mod is built upon Beta 1.7.3. For the majority, it is considered to be the "last good Old Minecraft update." If you are someone who never experienced the old times, I invite you to take a breath of those versions and this game. 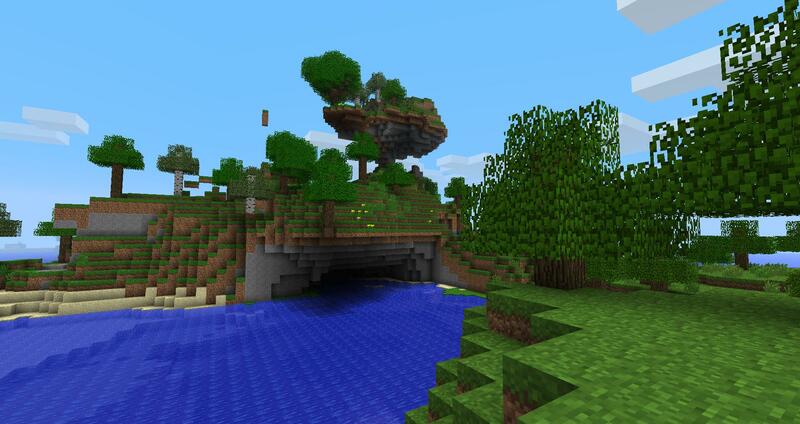 A large purpose of this mod is to improve the general experience of Minecraft, where everything added has had great consideration put in for how it affects the game. We do not just add things to add things. This is also why we develop this mod on Beta 1.7.3, because we believe there's something about the experience of older versions of Minecraft that play the feel chords of the soul more than modern does. Now New Frontier Craft's original intention was to really try and harp on the nostalgia chords - it's original slogan was "New Frontier Craft - The answer for your Nostalgia", but I've since discovered that I am a human being and cannot hit everyone's nostalgia for the old times perfectly. We all had something different about the game that we loved back then. What I can do is freshen up the old times with something new, a new vision for the game - a New Frontier - while keeping to the old roots of the game. This has resulted in something beautiful, something more matured than Beta or modern, something that can bring people who enjoy modern versions back to experience old times, something that retains the ability to play on those feel chords again, something I prefer to play over Beta now - which is really quite something, as I really do love Beta. Hopefully this something I've created can be that something for you too. This mod is considered to be more of an overhaul, or even a new path of development for Minecraft, than a mod - similar to Technic/Tekkit. Technic is such a large modification to the game - modern or Beta - that it has some of its own feels blended with the vanilla atmosphere that it feels like a game of it's own, on the same engine. That is what New Frontier Craft is like, but having a large focus on the old times and polish. I did not merely add new things to the game, but I've completely overhauled pieces of the game like ores and metals. This gives the feeling of being new to the game again, and also really matures how the game plays as I really try to refine the gameplay, yet stay within the framework of Beta to keep that atmosphere alive. As of now, this project is far from complete. I have big ideas for the game and its future, but I've only completed one of four or five massive updates to the game and its mechanics. Unfortunately, the future of this mod is greatly in question too. More on that here. Note: Anything in red means it is an incomplete and hence not linked wiki page. In the future, there will be a nice video here, but for now this will do. Learn to install New Frontier Craft here. If you are used to modern versions and never really played Beta much, you are going to run into a lot of quirks about Beta that they have since changed, like the dumb AI of Beta which can be quite fun, or just general lacks of things like sprinting, or options like the brightness and FOV slider. In Beta, and in New Frontier Craft, survival is a high priority. You can not just turn the brightness up in dark caves and be aware of your surroundings. You are not able to just sprint away from mobs. Outside of the better AI, Beta can be considered a bit harder than modern. New Frontier Craft is harder than Beta, but its definitely not difficult. It gives you a fresh challenge and learning curve for a game you have probably mastered over the years, so put on your armor and get ready for an adventure. Back in Beta, there were 6 ores you could find in the stone. In modern, that's now 7 with emeralds. In New Frontier Craft, there is 29 (30 if you include oil). Vanilla is a linear four tier progression with Wood -> Stone -> Iron -> Diamond. In New Frontier Craft, there are 6 tiers with multiple metals in each. Just like in vanilla you can't jump from wood to iron, in NFC you cannot jump from tier 1 to 3; you need the immediate preceding tier to mine the ore and progress. The tiers and their metals are: Tier 0: Wood, Stone. Tier 1: Aluminum, Copper, Tin, Zinc, Gold, Bismuth, Lead. Tier 2: Bronze, Brass, Boron, Silver, Platinum, Nickel. Tier 3: Iron, Cobalt, Silicon, Chrome. Tier 4: Steel, Tungsten, Titanium, Gems. Tier 5: Diamond, Osmium. A very important thing that was added in NFC is the Brick Oven. To make it, you need to craft 8 brick blocks in a square like you would a normal Furnace with cobblestone. This block is a mixture of the crafting table and furnace. Wood-based products are either inefficient or don't work in this furnace. Normal coal and anthracite work far better. This furnace is important because it makes bronze, brass, and steel. Bronze and Brass are alloys and not found in the ground, but they are key to getting to tier 2 because the tier 2 metals that do spawn in the ground are normally uncommon. Bronze is made with 5 Copper and 1 Tin, Brass is made with 3 Copper and 3 Zinc, Steel is made with 7 Iron and 1 Chrome. This oven is also what refines Tungsten and Titanium. Another relatively important thing to note in NFC is how slab and stair placement is changed. Like in modern, stairs and slabs can be placed upside-down. However, New Frontier Craft also introduces the ability to place a slab sideways. There is also a wrench item, which helps to get the correct placement, since you can use it to rotate and stair or slab to any orientation, regardless of how it was originally placed. Caves have changed in New Frontier Craft. In general, there is an upper and lower cave section. I recommend not digging deeper until you are stable at tier 2. Also, caves like to go on forever. A famous rule of Minecraft is never dig straight down. A new rule in New Frontier Craft is never explore too deep. If you die deep in a cave, you are almost definitely not getting your stuff back. Even if you do not die, good luck finding your way back after going way too far. The stats of all of the original ores and materials in vanilla are modified. For example, Wood is 2x worse, yet Diamond is almost 2x better, but Diamond is far rarer in New Frontier Craft. After you've gotten comfortable playing for a little while, I suggest looking at the ores to see how the ores generate so then you can find them best. Another thing I recommend looking at in the beginning is the list of crafting changes. All of this is written from the perspective of having Beta 1.7.3 as the basis. 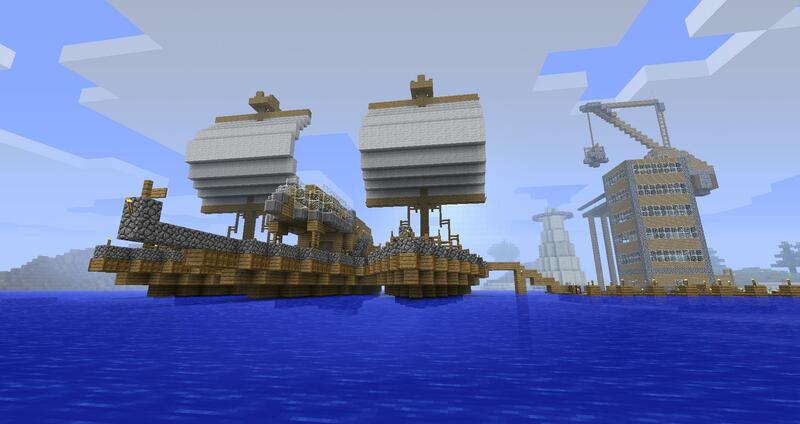 The biggest addition by far is the new ores and metals. Authentication updated to use the modern servers. Skins updated to use modern servers. Alex skins are supported. Books, a mix of modern and my own code. A server list for connecting to servers, basically taken from older versions of modern. A static structure generator. Currently this generates a couple rare surface buildings and some new dungeons, but there will be more in the future. Shears can now harvest long grass and dead bushes. New background and main menu music. Quite a few new building blocks. Bookshelves can now contain items. The seed of a world is displayed on the F3 screen. There have been quite a few crafting changes from vanilla. Massive changes to caves. They just keep on going. Some of the old textures are added back in. A new, fuller look for grass. Zombies now uncommonly drop a leather tunic or leather pants. Mobs spawned from monster spawners do not drop anything. Plants in general will grow slower, but not by much. I plan to make this slower yet. 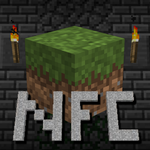 Worlds are saved to "NFCSaves" in the Minecraft directory. Trees cannot generate with just one log block under the leaves, it needs to be at least 2 now. As mentioned earlier, stairs and slabs can be placed in various orientations. On some computers, pressing alt freezes the game with no undo. ID's of blocks and items. These are the big ideas I have for New Frontier Craft's future. The biggest updates in the future will be an industrial update, a combat update, an adventure update, a heaven or "anti-nether" update, and my final update will be undisclosed at the moment. These will be further explained later in time. It has taken three years to get New Frontier Craft to a stable and universally liked state. That said, it's finally ready for launch. In older versions of New Frontier Craft, the game was a good bit harder than it is now, making its appeal niche. Now its made to appeal more to everyone, and the way the game plays out feels a lot better and more chill. Nonetheless, it has taken a ton of time out of my life. I predict I have put more than 1,200 hours into developing the game alone, not to mention making and maintaining things like the server and this wiki. That said, the continuation of the game is in question as not only has it taken a lot of time out of my life but taken money out of my wallet too. More on that here. So far, this game has taken influence from TerraFirmaCraft and eventually it will take a lot more influence from Industrial Craft and a little from BuildCraft. Despite this, as far as I know, nothing is out there that is similar to New Frontier Craft, even for modern. 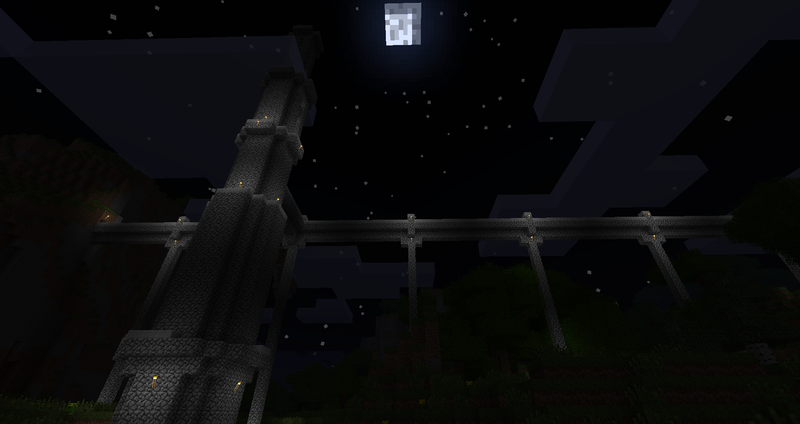 I mean this mod is basically a new continuation of Minecraft starting at Beta 1.7.3. I do know of some other mods that last time I checked were still being made for Beta 1.7.3, but they are nothing like New Frontier Craft.